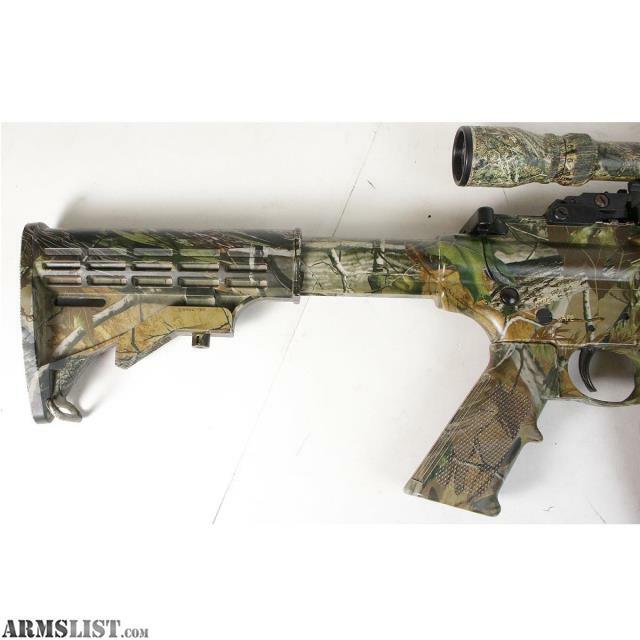 We are selling a pre-owned Smith & Wesson M&P 15-22 22LR Camo Semi Automatic Rifle for $319.95. 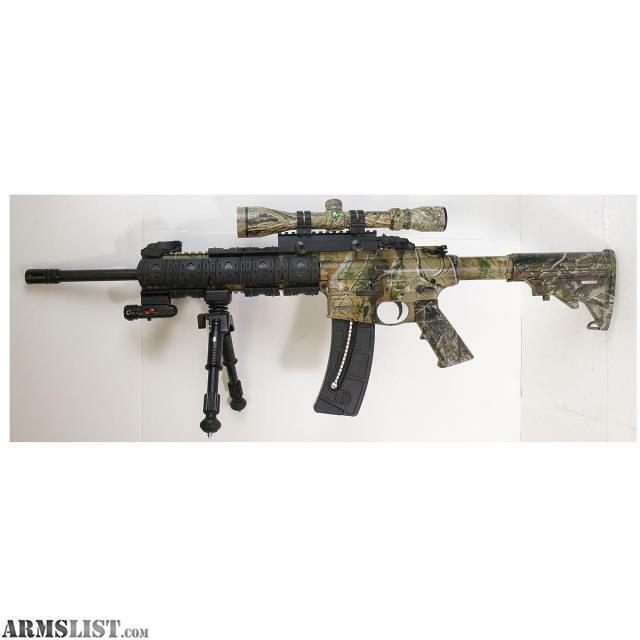 This rifle is in overall good condition, showing normal use. Some small scratches on barrel. 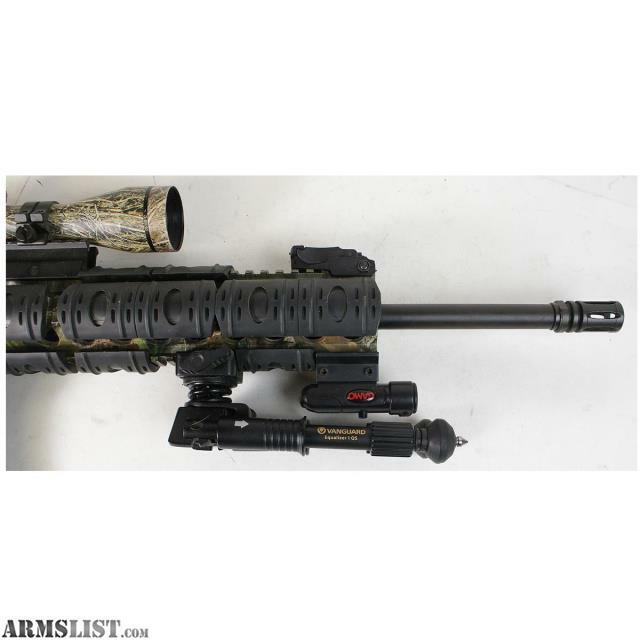 Has a match grade precision barrel. 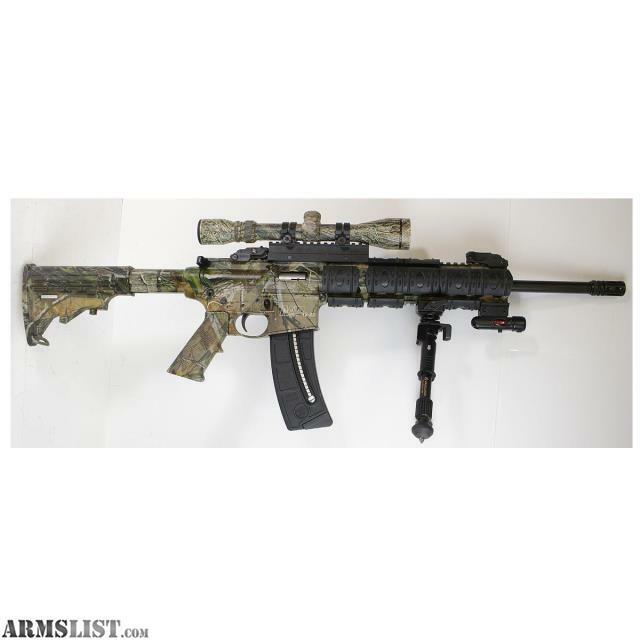 Includes one 25 round magazine, bipod, laser, 3-9x40 scope, and handguard. 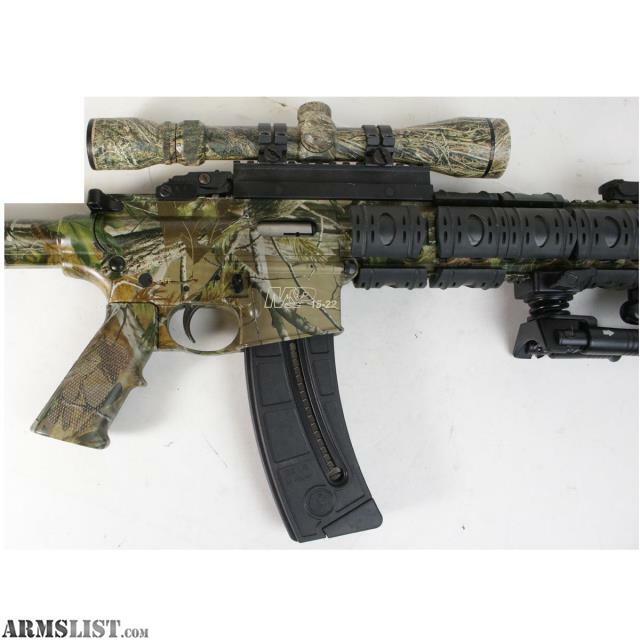 Overall Length: Adjustable 32" to 35".